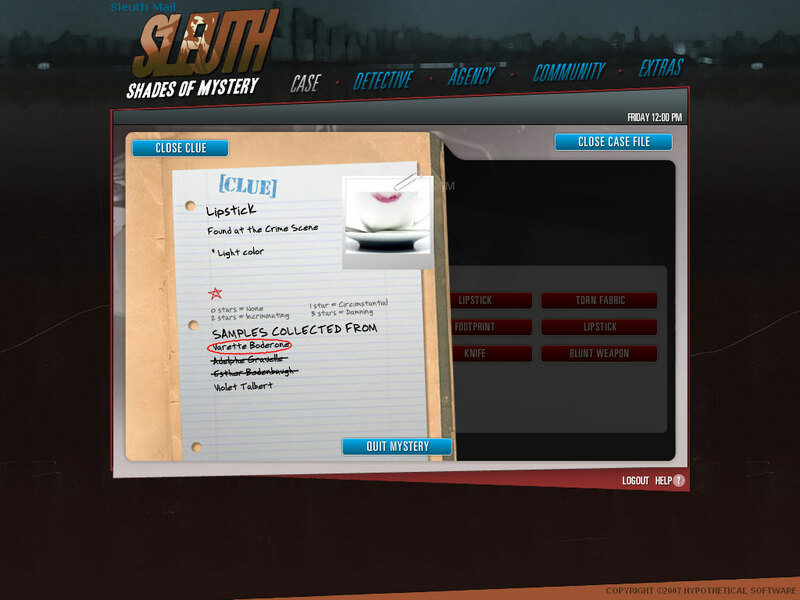 Hypothetical Software’s Sleuth, is a series of detective themed browser-based games. Sleuth games are open-ended, detective role-playing games (RPG) where the player solves mysteries by searching for clues, questioning suspects and interviewing witnesses. Over the years, more than 350,000 players have taken on over 5,000,000 Sleuth Mysteries! 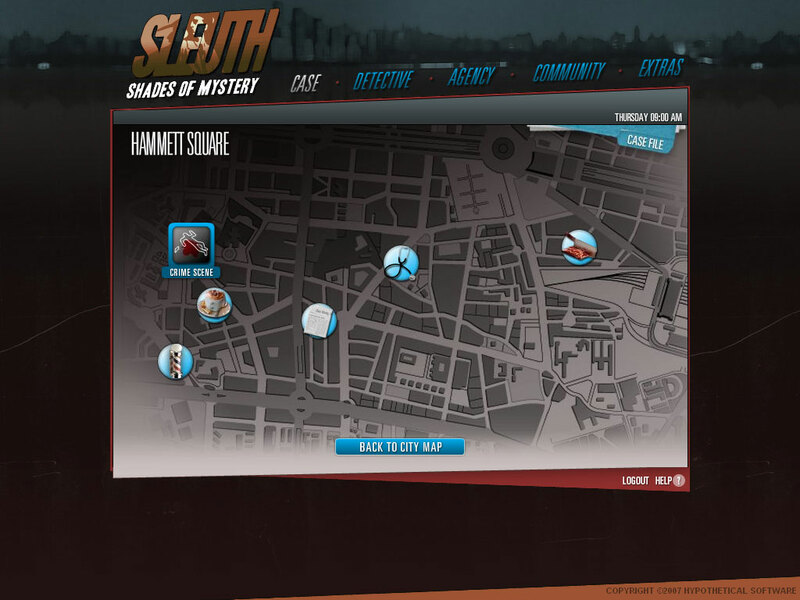 Sleuth: Shades of Mystery was launched in February, 2008, after years of feedback and user experience from publishing the long-running Sleuth Noir. It combines the random mystery generation engine from Sleuth Noir with an intuitive and immersive flash interface for fans of the point-and-click genre of internet games. Players can enjoy Sleuth: Shades of Mystery for free, or they can pay a monthly subscription fee to experience premium content and expanded gameplay. 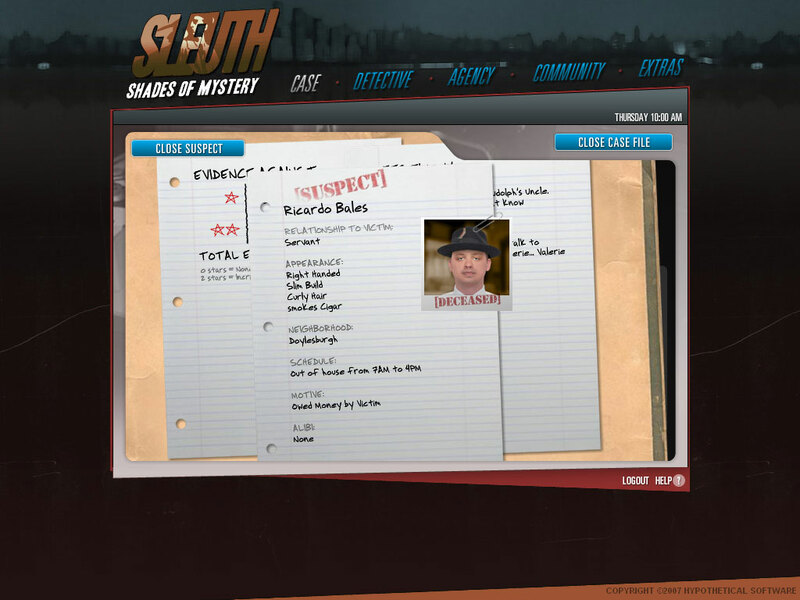 Sleuth: Noir is the original on-line, open-ended detective role playing game published by Hypothetical Software since March 2004. This browser-based game allows players to take on the persona of a detective, solve cases and engage in interactive fiction. The unique random-mystery generator allows for an endless number of mysteries at a wide range of difficulty levels. Players can enjoy Sleuth: Noir for free, or they can pay a monthly subscription fee to experience premium content and expanded gameplay. "I was instantly hooked, and knew I would be staying for a long time, even though I never was a gamer. Most online games seem to be about combat, or Lord of the Rings type role-play, and neither ever interested me. Sleuth is as a game quite different, and also appeals to different skills like logic, memory, management, social interaction and teamwork." "Never playing an online video game before, stumbling across Sleuth was one of the best things that could have happened. 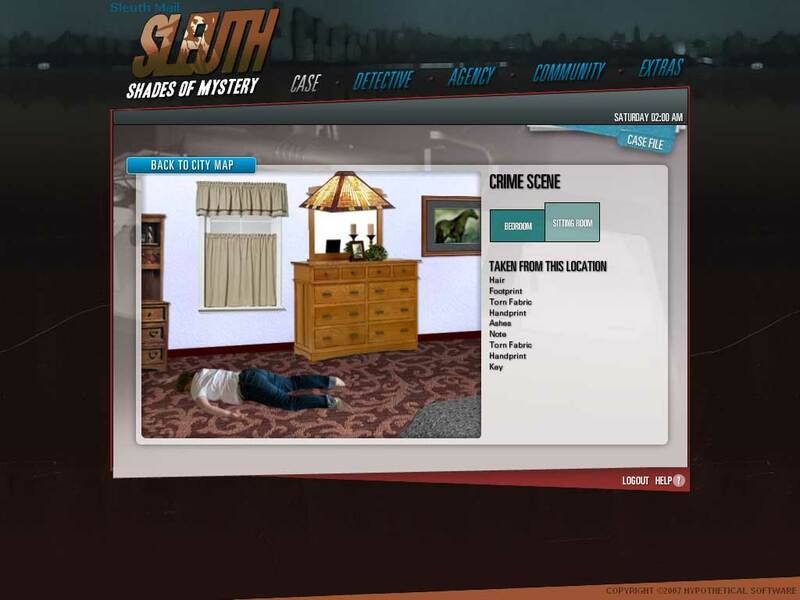 From there, I tried out other online games, but none compare to Sleuth. The game is highly interactive, challenging, and intellectual as well." "Sleuth is the best on-line game currently available to those of us who are not “combat oriented.” I tried it on a whim about a year and a half ago, and was totally hooked immediately."